My advice to others considering studying at NTU would be go for it, NTU is the best decision you could make! "I applied for my place before coming to visit NTU but once I received an offer I came to an offer holders open day and loved it. I was able to ask lots of little questions which had been in the back of my mind and it made me feel confident that I had made the right degree choice. "I really enjoy the student atmosphere and the liveliness on campus is an experience like no other and I will truly miss it when I leave. There is such a team spirit at Nottingham Trent University and I have not heard friends at other universities say the same thing. "The academic staff make themselves available to support students and really listen to us. The passion that they show for their subjects is infectious and makes me feel motivated, determined and inspired. "There is also a great variety of modules which means that everybody studies areas which they like and find interesting in both the second and third year. In my second year I did the Humanities at Work module and took up a volunteering position for Nottingham City Council, I had to complete 30 hours for my placement log but ended up staying for over a year as I enjoyed it so much! "The employability team are a must, they are really lovely and give great advice. They helped me with my placement module and have also helped me to create a CV that is suitable for graduate jobs. "The library services at NTU are also outstanding. If they don't have a book or article for you they will hunt it down! They also offer help with writing, referencing, language use, style and general academic writing guidance. All these services have really helped me. "Once I graduate, I plan to get a job as a tutor so that I can earn some money whilst doing something I enjoy. I hope to spend the summer of 2017 travelling as I will hopefully start a Masters in September 2017. I hope to be a Speech and Language Therapist and work with vulnerable teenagers and young adults with communication impairments. 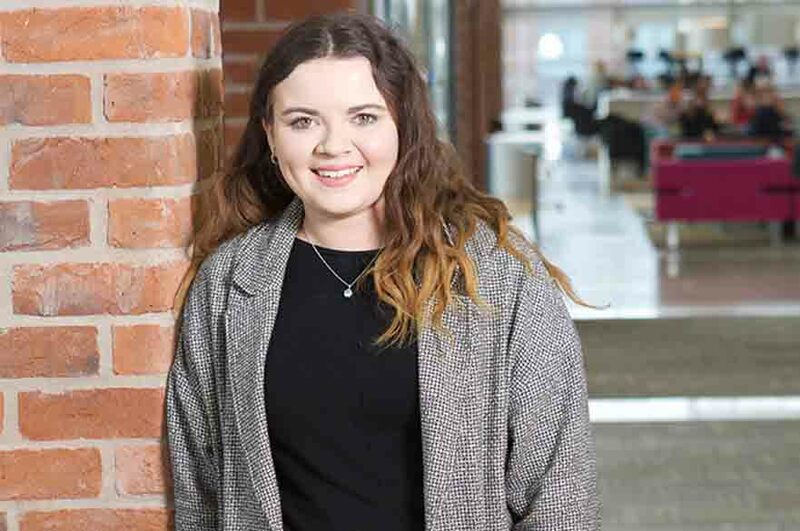 "My advice to others considering studying at NTU would be go for it, NTU is the best decision you could make!"